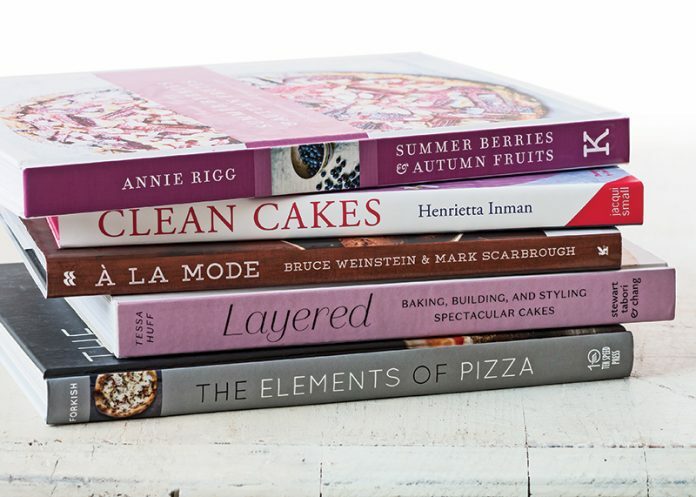 From fruit cobblers and crisps to perfect pizzas, the recipes in these beautiful new books will keep you baking all summer long. In Summer Berries & Autumn Fruits, Annie Rigg teaches readers to make the most the seasonal farmers’ market haul. From summer stone fruits and berries to fall fruits of the orchard, she amplifies these natural gems in tarts, pies, and more, adding spices and herbs to take flavors to a whole new level. With page after page of stunning photography and recipes brimming with delicious fruit, Annie makes it simple to bake with the bounty of the season. Can’t wait to make: Raspberry, Pistachio, and Passion Fruit Yo-Yos, a sophisticated version of childhood favorite sandwich cookies with a fresh and fruity spin. In Clean Cakes, Henrietta Inman doesn’t simply share recipes, she spends pages upon pages explaining the concept of clean baking: using only whole, natural ingredients and eliminating gluten, dairy, and refined sugar. Only when she’s schooled readers on basic recipe elements, like nut milks and natural sweeteners, does she bring out the flavor-bomb recipes, like her Clementine and Pomegranate Jewel Cake, which just happen to be good for you. Can’t wait to make: Coconut Rose Cake with Whipped Vanilla Coconut Cream, with its layers of coconut flavor and a hint of fragrant rosewater, covered in beautiful toasted flaked coconut. In the pages of À La Mode, brownies, pies, cakes, and cookies meet their frozen match. Authors Bruce Weinstein and Mark Scarbrough share recipes for baked treats, each paired with a complementary ice cream, gelato, or frozen custard, such as Salty Key Lime Tart and Triple Coconut Frozen Custard. 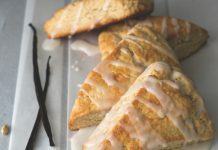 The book is a celebration of the unrivaled balance between baked goods and their creamy sidekicks. Can’t wait to make: Sour Cherry Cobbler and Cannoli Cream Ice Cream, a beautiful and delicious marriage of American cobbler and Italian ice cream. 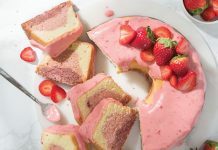 Tessa Huff’s Layered compiles of dozens of ideas to create layer cake bliss without relying on basic vanilla cake. This book ups the cake game with recipes such as Blood Orange and Thyme Cake, Pink Peppercorn Cherry Cake, and Sweet Tea Cake. 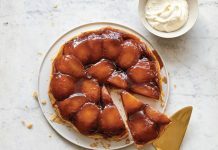 In addition to sharing an arsenal of complex flavors in her recipes, Tessa arms readers with techniques to demonstrate their baking prowess, from tips on frosting to creating edible garnishes. Can’t wait to make: Riesling Rhubarb Crisp Cake, a divine tower of Riesling-infused cake, rhubarb-strawberry compote, and rhubarb buttercream with crunchy oat crumble between the layers. Can’t wait to make: Margherita and Arugula, a classic pie that delivers the perfection of fresh garden tomatoes and peppery greens.